The simple circular shape and basic two-color design makes a soccer ball the perfect image for an embroidered patch. Add the explosive growth of youth soccer leagues, from tiny tykes up to competitive teen programs, and there has been a tremendous expansion in the demand for soccer related embroidered patches. Some youth teams award an embroidered patch to each player who scores a goal in a game, with a lesser patch to those who make an assist (setting up a goal), with another special kind of embroidered patch for the goalie who posts a shutout, makes an outstanding save on a breakaway or for other on-field (and sometimes off-field) accomplishments. Kids love to collect the patches, having them sewn on a jersey, warm-up jacket, soccer bag or other equipment. The expanded U.S. interest in soccer, the game that most of the rest of the world knows as football, has fueled the growth of homegrown professional leagues here in the United States and even a North American interest in English and other European professional leagues. A search for soccer embroidered patches on web auction sites yields an astounding number of non-U.S. teams, including juggernauts Manchester United and AC Milan. The Chicago Embroidery Company has been making soccer patches for many years and can help make your team look sharp with a custom embroidered image or just a simple one or two-color soccer ball patch to be worn on jersey sleeves. Learn more at http://www.c-emblem.com or by calling 312-664-4232. These World War I era flyers patches are some of the earliest examples of aviation embroidered patches. While the first practical, steerable fixed wing airplane first took off with the Wright Brothers flight in 1903, it took just a few more years for pilots to adopt embroidered patches on their uniforms and jackets. Today, the flying branches of the military, commercial airlines and the many different aircraft manufacturers and flying clubs are huge consumers of aeronautical embroidered patches. Not just pilots appreciate embroidered patches. Members of the ground crew and other support staff proudly wear patches on their uniforms. Embroidered designs have proved popular with aviators and ground crew members for a number of reasons. A camaraderie developed around airplanes with the crews who built and maintained the aircraft taking a distinct pride in their machines and the pilots who flew them. World War I aero squadrons were competitive, with each unit (and pilot) posting numbers of enemy aircraft destroyed. Some of the earliest flight related embroidered patches were sported by WWI airmen. 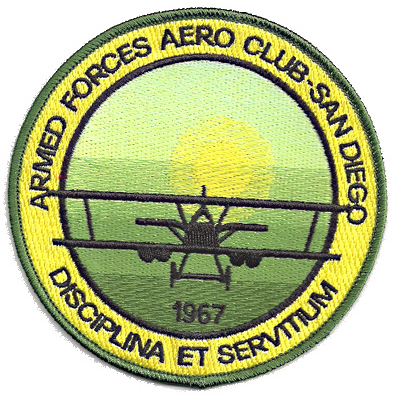 All types of flying clubs use embroidered patches to identify members and build camaraderie. Aviation patches have expanded beyond the military into commercial and private flying. All of the major aircraft manufacturers distribute embroidered patches with the company logo and/or specific models of aircraft. Flying clubs like to use embroidered to patches to identify members and the Experimental Aircraft Association’s (EAA) popular AirVenture pilots convention and aircraft show, drawing more than 10,000 aircraft and many more thousands of flight enthusiasts to OshKosh, Wisconsin each summer, is the subject of many embroidered artworks in patch form. The aviator’s wings are a popular motif for aviation embroidered patches. Commercial airlines use embroidered patches on uniforms to identify pilots, flight attendants, ground crew, maintenance technicians and other personnel. There is vibrant collectors market for these patches, especially for such older legacy airlines that are no longer flying – PanAm, Braniff, Eastern, etc. The Chicago Embroidery Company has made a variety of flight and aviation patches for large and small groups. Learn more about ordering custom embroidered patches at www.c-emblem.com or by calling 312-664-4232.